Top 10 Best Rated Free Games For Your iPad And iPhone | iMOBDEV Technology Pvt. Ltd.
Did you catch an iPhone or iPad in your hand? Are you observing for the finest free iPad or iPhone games to download from App store? Below, we run through the 10 best iPad and iPhone touch games.’, ‘top free iPhone Games, best free iOS games, iPad Games for free, free games for iPad and iPhone, iOS game development‘, ‘Top-10-best-rated-free-games-for-your-iPad-and-iPhone’, ‘Did you catch an iPhone or iPad in your hand? Are you observing for the finest free iPad or iPhone games to download from App store? Below, we run through the 10 best iPad and iPhone touch games. As we all know, Games are the best significant category of mobile applications. There are various amazing mobile games worth experiencing. iOS devices are finest at doing many things and one of the things they outshine at greatest is gaming. The key thing to look forward into an iPhone games is simply fun. You are constantly watching for the next free and amusing iOS app, No issues with how many applications you have installed on your iOS device. It happen that Android swing more units compare to Apple’s device platform, but the app store of Apple still get the enormous sharing of the greatest applications. With billions of applications to choose from, it might be a little bit tough to choose the worthy ones. That’s why we selected the 10 top free games after going through the depths of mobile applications catalogues. Subway Surfers is a fast-paced running game for iPhone, iPad and iPod touch which is unending.The goal in the game is to escape from the police inspector and his dog that are chasing you. If you want to be safe from your hunters, you will need to stay away from the incoming trains, and avoid the obstacle coming in your path by jumping over them as well as by dodging and rolling under. You can also use several power-ups to raise your chances like jetpack which helps you to hover above problems and a magnet which attracts coins. Clash of Clans is a classic fight approaching game in which you can build your village,train your crowds and fight with billions of other players on cyberspace. This game is totally free of cost to play. It has 18 unique units of up gradation with multiple levels. You can determine your aggressive army from numerous combinations of crowds, spells, heroes and clan strengthening. You can protect your village with guns, towers, grouts, bullets, traps and walls. You can also battle against the Goblin king in a classic fight through the kingdom. The Candy Crush Saga is very easy and fun to play. When you play Candy Crush Saga you have to Line up three matching candies horizontally or vertically to dissolve and collect your scores. The game contains very amazing candy graphics that will easily attract you to play more levels. It unwrap pleasant atmosphere and meet the sweetest character as well as it has magical boosters which helps to face challenging levels. The game contains exploratory levels and unlocks facilities. The game provides leader boards if you want to lookout your friends as well as other contestants. A player can simply synchronize the game amongst devices and can unlock complete game features when users have internet connection. All Guns Blazing is a game all about epic shoot outs in Stunning 3D outlooks. It provides PvP mode that attack other player’s base and take their money. User can connect with a Cartel and work with other offenders or work alongside them as well as build and expand the empire on a completely interactive 3D map. The list of weapons, clothes, properties, gun parts, boosters, and stats is endless. User can also take on hundreds of crime jobs and Mod their character. The game is totally free and it requires network connection to play but note that the game is doesn’t work oniPhone4. True or False: Quiz Battle is a game associated with the questionnaire of quiz. It definitely increases your knowledge level by awesome questions as well as with crazy facts. User can play around 1000’s of amazing questions in 15 categories. User can choose from 15categories in multiple choice rounds and play according to their strength. In the true or false round, complicated false statements are getting mixed with real facts. The game has no complicated rules and provides great graphics as well as stunning sounds. The game Sniper 3D Assassin: Shoot to kill is all about achieving the mission to become the main hitman by killing the bad guys. To kill these bad guys you have to just turn your device to aim and Tap to shoot. The game provides 3D graphics, mini sniper puzzles, multiple targets and scenarios. If u misses a single shoot,you will end up losing your job. The game is really fun and it’s got all awesome graphics. If you want to join the fight for power of the kingdom, “Game of War – Fire Age” is a perfect game for you. Game provides 32 different languages to play and chat millions of online players. You can watch the battle on the world map, attack and defeat the wonder to become aking as well as train armies to lead into action filled fight. User can be apart of global alliance, talk and manipulate with alliance friends, forge diplomatic alliances to defeat opponents & become the greatest powerful alliance in the kingdom. The game “Stick Hero” is all about starching the stick and walk on the platforms. Users have to stretch the stick if they want to reach and walk on the platform. If user’s stick is not long enough to walk on the platforms, user will fall down. The main thing to see is how far user can go by walking on the platform. “New words with friends” is a skill testing free social word game in which you can share new words with your friends and get fun by playing it. You can find the opponent which is best suited to you by browsing player’s profile.With offline solo play you can sharpen your skills anywhere and anytime. With dictionary and word of the day, you can expand your vocabulary as well as you can track your performance in detailed stats. Did you play this awesome game ever? If not than this is the time to get involved with. Candy Crush Soda Saga is a fresh and new version game of the fabulous and famous Candy Crush Saga. User can shift bottles as well as candies to relief purple soda and then stuck the candy bears in soda modes. In Frosting mode user can match candies to crash the ice and fixed the candy bears free. In Honey mode user match candies next to the honey to relief the trapped candy bears. If you are a giant fan of Candy Crush Saga then you’d positively love the fresh version named as “Candy Crush Soda Saga”. 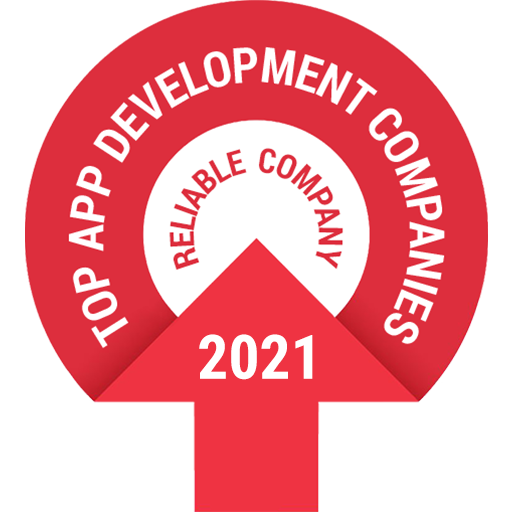 We at iMOBDEV Technologies design and develop these kinds of many games for iPhone, iPad as well as for Android as per our esteemed customer’s prerequisite. Get connected with us and let us know your perception and thoughts for your games and we will assist you to convert it into awesome and amazing games for your device. Hi my name is Olivie and I almost play all which are in this list. But among all these my favourite is Sniper 3D Assassin: Shoot to Kill with great features. Great Mobile game development work. i can’t understand how people can be addicted to these kind of games ?